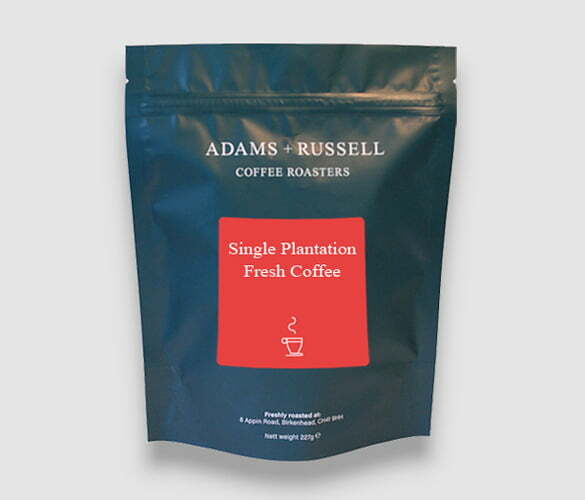 As you might guess from the name, this coffee is known for its delicious sweetness. With unique notes of maple syrup, orange and almond, these beans stand out from the crowd and have a natural tasting honeyed flavour. This family owned farm goes back to 1870 when the first coffee trees were planted in the rich volcanic soil, at high altitudes. The very first crop produced just 27 bags of coffee beans, however over time, the coffee plantation has grown and the quality of this coffee has been improved year after year. That’s the Urrutia family tradition. Flowering of the plants begins in April and continues through May. The cherries are then harvested from November to February and the plants are organically fertilised on a regular basis. Replanting is also a frequent activity on the farm, meaning no plant is ever older than 20 years, while native trees are planted every year to prevent erosion. Urrutia estate coffees are 100% shade grown. This coffee is honey processed and dried at the San Antonio Mill. The Urrutia family believe the best way to produce their honey coffee is first to have the best quality cherries, perfectly ripened on the farm and only picked when they are at their best colour. If this isn’t a focus, then the farm wouldn’t achieve the level of sweetness found in these coffee beans. At the end of each day, freshly hand picked cherries are collected, weighed and pulped. They are then spread on African drying beds with their mucilage still fully intact. Drying time is generally between 10-12 days but is also dependent on the weather. By using a natural drying process, there is a nice saving on electricity, making the production more ethical to the environment. The drying time parchment with all the mucilage and the honey still attached has a direct impact on the sweetness of the cup, its fragrance and aroma. What kind of flavour profile does this El Salvador coffee have? Honey coffees generally have a unique cup character profile, characterised by its distinct sweetness, enhanced fruit notes and sweet acidity. These characteristics are also felt in the aftertaste of the coffee. The roasting profile of these beans is carefully achieved to bring you a coffee with lots of character and unique flavours. The home is certified Rainforest Alliance and is home of many resident and migratory birds. This includes 24 different species of mammals and 120 species of migratory birds. Provisioned by the 100 manzanas of natural forest.